Career Compass No. 48: How Do I Benefit From a Coach? In this issue of Career Compass, Dr. Benest explains why you need a coach, how to get one, and what they can do for you. Feeling Stuck? A coach can help! I’m a mid-manager in a suburban city government. I’d like to advance in my career, but I'm “stuck” in my current program manager role. I went back to school and earned an MPA; I competed unsuccessfully for one position inside my organization and one with another local government agency. I have never used a coach, but I think I may benefit from some coaching. What do you think? I don’t know what to expect from a coach or how to proceed. If you desire to advance in your career, a coach (or better yet several different kinds of advisors) would help you accelerate your development and better position you for advancement. What can I expect for a good coach? What are my responsibilities in the coaching relationship? Do I need more than one coach? How do I approach a potential coach? How do I get the most out of coaching? What are some keys to accelerating my development? Let me address these questions. Coaching is a confidential relationship typically between a senior manager and an aspiring leader that aims to help the emerging leader achieve his or her hopes and dreams. Coaching often helps one focus on accelerating career development and/or addressing problematic work situations. What can I expect from a good coach? Recognizing your aspirations, a good coach is in your corner and wants the best for you. It is not what the coach wants for you or from you; it is what you want to achieve. Explore your hopes and dreams. Ask questions about obstacles and challenges. Prompt you to consider a variety of options. Invite you to consider big leaps. Offer resources, connections, and opportunities. Don Maruska points out in his book, Take Charge of Your Talent, that a good coach is a catalyst for action. You must take the initiative in reaching out to the potential coach and in scheduling times to talk either in person or by phone. In addition, you need to be open to the conversation and honestly share your goals, challenges, doubts, and fears. Finally, it is your responsibility to take any action (such as a stretch assignment, professional involvement, or training) which flows from the coaching. There are many places to find a coach. A coach may be. . .
A senior manager or other respected colleague in your department. A senior manager or other respected colleague in another department in your organization. A professional from another public agency. A local government leader whom you find in one of your professional organizations. 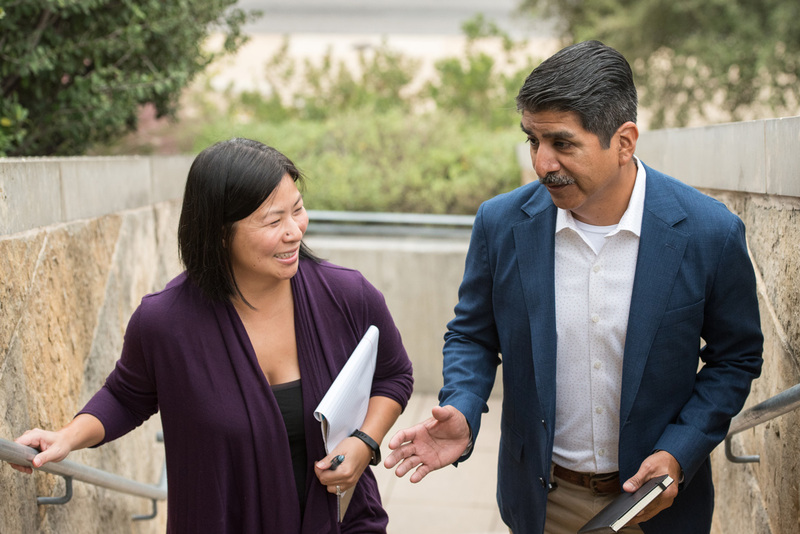 Some ICMA state associations or other affiliated organizations (e.g., Cal-ICMA, Texas City Management Association, Oregon City/County Management Association, International Hispanic Network) have now established one-to-one coaching services. The ICMA Coaching Program will launch “CoachConnect” in 2016, which is an online service to match you with a coach based on your needs. “CoachConnect” is available to any local government employee in the United States. An ICMA Senior Advisor (usually a retired manager affiliated with your state association) is often available to suggest a good coach in order to support your aspirations. Finally, a number of individual local government agencies have begun, through their HR departments, one-to-one coaching programs to address succession planning needs. Yes. While you may just want to start with one formal or informal coach, eventually you want to create a “dream team” of coaches and advisors. Advise you on how to enhance your skills, gain new experiences, and position yourself for advancement. Suggest how you may handle problematic situations at work. Alert you to new job opportunities inside and outside your organization. Serve as connectors to others who may be able to provide advice or resources. Serve as a sponsor in helping you secure an appointment to an interdepartmental team or a professional committee or access some other opportunity such as a training program. Provide information, data, knowledge, and expertise. Serve as a sounding board for advice. In developing over time a cadre of advisors, you might want to adhere to the “2 + 1” rule. You need a coach inside your department who knows the work of the department and how to get things done, and a coach outside your department who is aware of broader opportunities, as well as organizational politics (the “2”), plus a coach outside your organization who knows about the bigger professional picture, as well as opportunities outside your agency (the “1”). It is easy if a senior manager has already registered as a coach or offered to serve as a coach in a formal coaching program. You simply send an e-mail, introduce yourself, indicate that you found the senior manager in the “Coaches Gallery” or some other registry, and ask them to schedule a face-to-face or telephone call. It’s a good idea to provide a list of dates and times to get together in order to give the coach some flexibility in scheduling. Another approach is to ask one coach to make a connection with another potential advisor, and then you follow up after the introduction. In order to maximize the value from informal or more formal coaching, you need to have a proper frame of mind. Focus on a "growth mindset." Instead of looking at our challenges as problems to minimize, you should foster a "growth mindset." Carol Dweck in her book Mindset suggests that those with "fixed mindsets" try to avoid challenges and mistakes. They prefer to do the same kind of work that they have already mastered since it reinforces their sense of competency. With a "growth mindset," we look at challenges and experimenting and even mistakes as opportunities to learn and grow, and thereby expand our portfolio of behaviors, skills, and relationships and ultimately become more effective in the dynamic environment of local government. As part of a growth mindset, we want to try out and practice new behaviors to see if they work for us or improve problematic situations. As Herminia Ibarra suggests in the Harvard Business Review article (January-February 2015) titled "The Paradox of Authenticity," you are not being a fake if you experiment with new behaviors; rather, you are just trying them out to see if they enhance who you are as a leader and thus over time become part of your authentic self. Ask for help and feedback. A lot of us find it difficult to ask for help. We often perceive asking for help as a sign of vulnerability and weakness (see Career Compass No. 32: The Power of Vulnerability). You can only benefit from coaching if you ask for guidance or feedback. Be open to the conversation. It is important to not only share your challenges and dilemmas with a coach, but be open to the feedback and any suggestions on how to handle difficult career or work-related problems. Prepare for the conversation. In advance of the get-together with the coach, identify the challenge you are facing; what actions you have taken; what have been the results to date; why you are frustrated; and how you'd like things to change. Use the coach to promote self-reflection. Coaches can ask probing questions that promote reflection and self-critique and opportunities to make adjustments. After an informal or formal coaching conversation, reflect on what has been discussed and the implications for self-correction. No griping. It is therapeutic to express some frustration, but you want to quickly move on to request the coach's perspectives and constructive feedback. Be forward looking. While you want a coach to assist you in debriefing recent experiences or efforts to advance, the point is to explore what you have learned so that you can enhance your future behavior and opportunities. Learn from the stories. Coaches love to tell war stories. Don't just enjoy the swapping of stories--probe for lessons that may be related to your dilemma or challenge. Don't feel compelled to follow the advice. While you want a coach to offer different perspectives and additional options and prompt action, you do not have to accept or act on anything. It is your responsibility to weigh the advice and feedback and choose whatever you might do to enhance your career development or become a more effective leader. Enjoy the interaction. While you are certainly looking for feedback and advice, informal or even formal coaching offers an opportunity to form new relationships and get social support. The experience of meeting with a senior manager colleague and exchanging experiences and views is stimulating and fun. Oftentimes, we mistakenly assume that the best development or training is through classroom education such as a seminar, workshop or university class. Classroom training or education is a good way to secure new information and develop a broader conceptual or theoretical framework for new behavior, but it does not create new behavior, skills or capabilities. You only create skills or enhance skills if you apply the information or learning. Therefore, the best development is “learning through doing.” You can supercharge your development by taking on a series of stretching job assignments coupled with helpful and candid coaching and feedback. In looking for and requesting new job experiences, you should seek the “sweet spot” of learning and development. The sweet spot is when you have a 50-70% chance of success. If you have an 85% chance of success, the assignment is not difficult enough and you won’t learn new things or develop new capabilities. It is just more work. If you only have a 40% chance of success, you may easily feel overwhelmed or withdraw. It won’t be an energizing learning experience. Remember, Coaches Love To Coach! Often we think it is an added burden if we ask a senior manager to coach us or act as a sounding board. Not so! Coaches love to coach. It is satisfying and fulfilling and gets us away from the more mundane aspects of our work. You are doing a senior manager a favor if you ask for advice and coaching. Career Compass is a monthly column from ICMA focused on career issues for local government professional staff. Dr. Frank Benest is ICMA's liaison for Next Generation Initiatives and resides in Palo Alto, California. If you have a career question you would like addressed in a future Career Compass, e-mail careers@icma.org or contact Frank directly at frank@frankbenest.com. Read past columns at icma.org/careercompass.